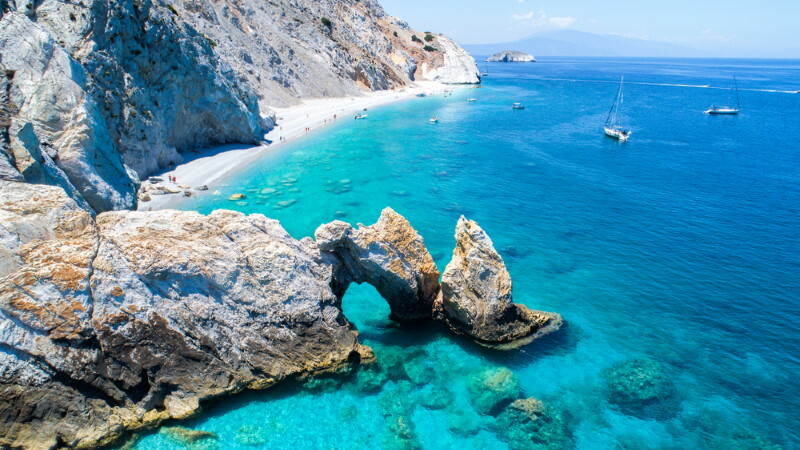 With an estimated 6,000 islands and islets dotted in and around the Aegean and Ionian Seas, most of which are uninhabited, the Greek Islands have something to offer everyone. From beautiful sandy beaches, stunning scenery, fun-packed activities and fabulous nightlife to archaeological sites that date back thousands of years, this huge group of islands is one of the most popular holiday destinations in all of Europe. Skiathos is most popular for its glorious beaches. With a plethora of sandy bays, coves and inlets, this island is the one of the best places to go for a spot of relaxing under the Mediterranean sun. 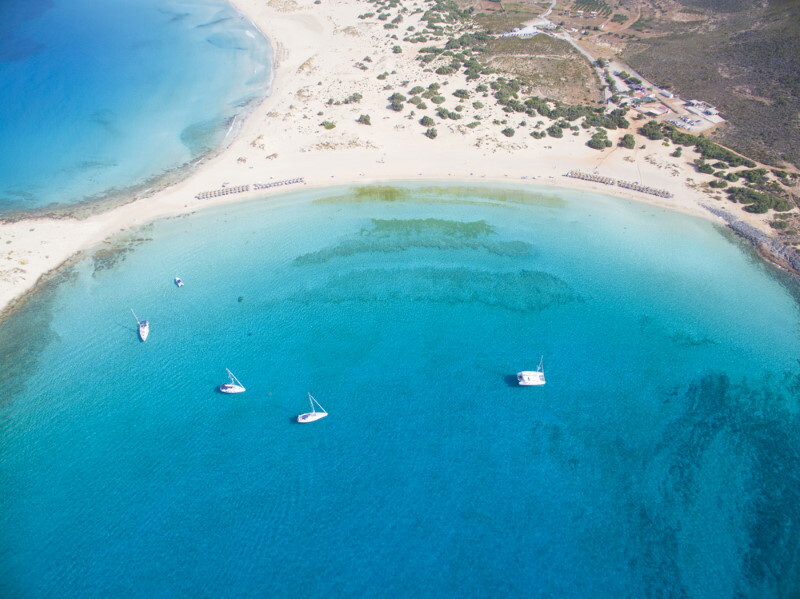 Koukounaries Beach was voted the 7th best beach in the world so tourism is rife without it being overwhelming. This tiny island, only 7.7km², is famous for its spectacular sunsets, especially those that can be seen from the picturesque church of Agios Spyridon. With wonderful beaches and plenty of sporting activities to enjoy, Elafonisos is a paradise for campers as there are sites dotted all over the island. 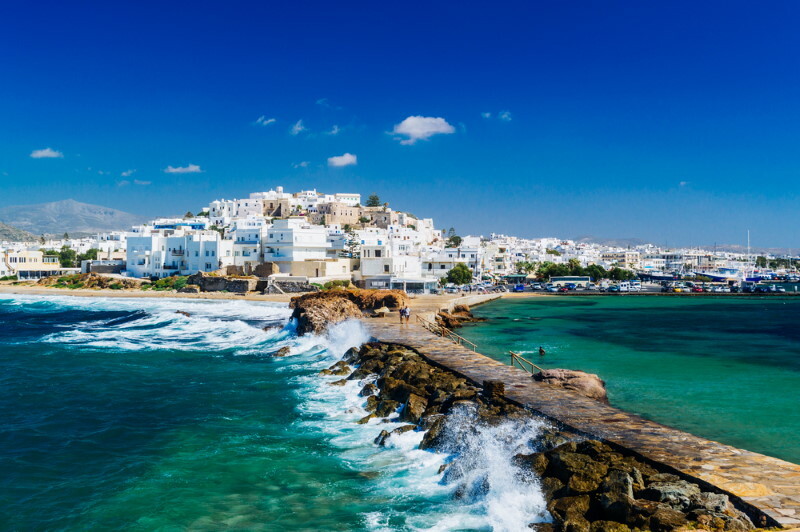 For old churches, ancient monasteries and medieval castles, Naxos is the place to go. This beautiful island has some charming traditional villages for holidaymakers to explore. Among the best are Apérathos, which is made up of narrow, marble-paved alleys and some very interesting museums and Filoti, which is located on a hilltop and boasts some impressive views of the surrounding landscapes. Well-known for its exciting nightlife, fabulous beaches and family-friendly resorts, Corfu has so much to offer its visitors. With an array of historical sites such as the old town, which is a UNESCO World Heritage Site and features two magnificent Venetian forts, tourists come back time and time again to enjoy the wonders of this island’s rich heritage. 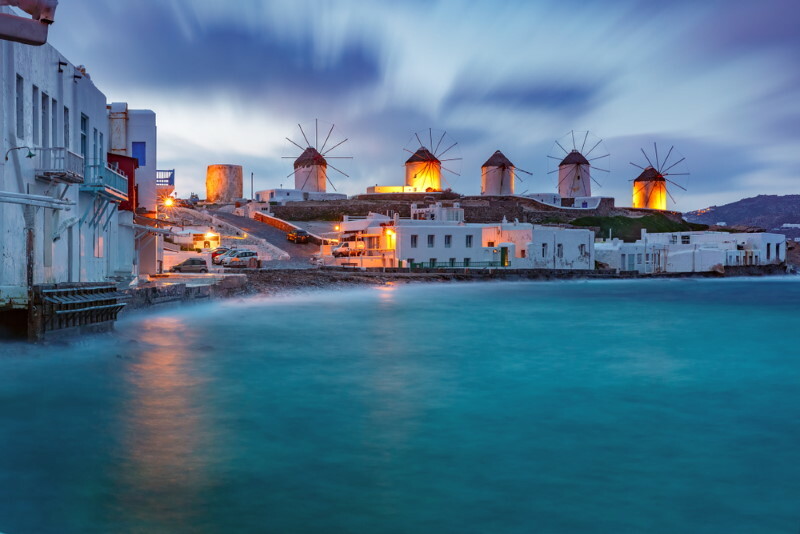 Mykonos has an enchanting atmosphere that attracts tourists from all over the world. Aside from the multitude of picturesque windmills, medieval buildings, magnificent churches and astoundingly beautiful scenery that make up this island, the shopping here is second to none as the huge variety of shops and boutiques that line the streets sell everything from clothes, shoes and jewellery to handmade souvenirs. 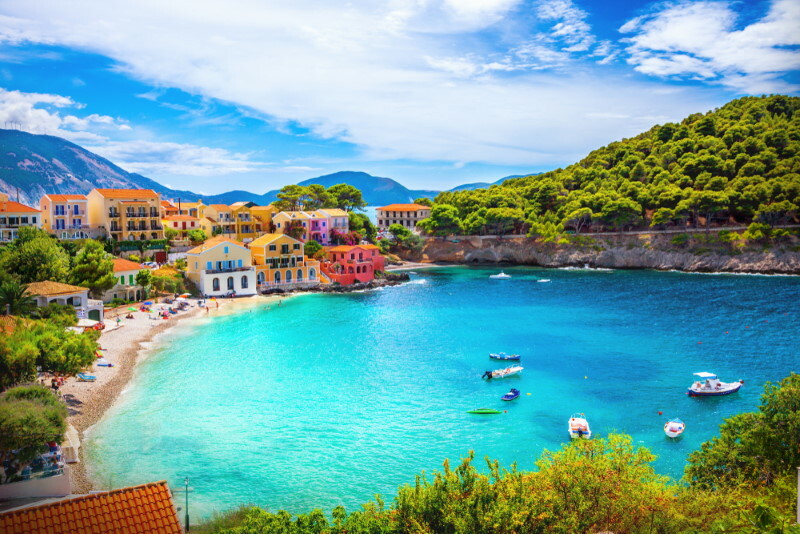 Cephalonia, or Kefalonia, is an astonishingly beautiful location for a wonderfully relaxing holiday. The beaches remain largely untouched by mass tourism and a visit to the spectacular underground cave of Melissani comes highly recommended. This stunning cave system is 3.5km long and features an underground lake that is simply breathtaking. One of the most historical locations of all of the Greek Islands, Rhodes features many ancient sites including the magnificent Palace of the Grand Masters. Visit the Acropolis of Lindos or the Acropolis of Rhodes for some unforgettable views and be sure to take in the sights of both the Monolithos and Kritinia castles. 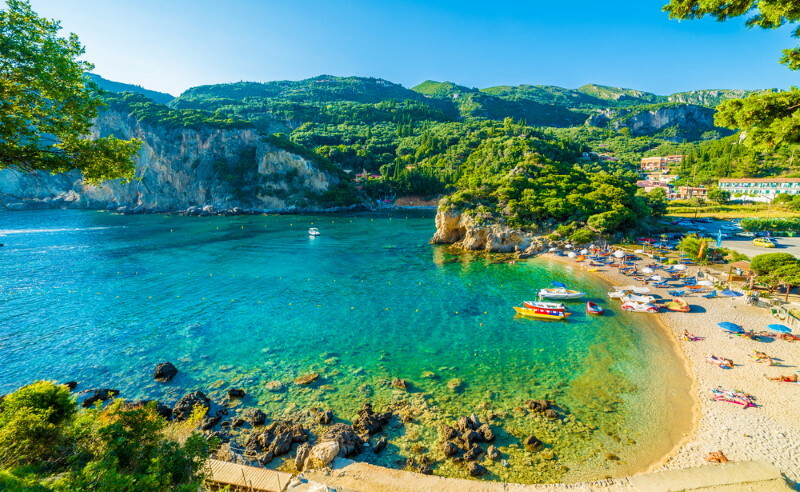 Widely known as Zante, Zakynthos is a great choice for holidaymakers looking for fun-packed excursions and vibrant nightlife. With a fabulous selection of cafes, restaurants, bars and clubs, this popular island will definitely get you in the party mood. This is also the place to go to see the endangered loggerhead turtles, which can be found in the south of the island during the spring and summer months. The largest of the Greek Islands, Crete is home to a rich culture, stunning landscapes, impressive beaches and delicious cuisine. With so many food, drink and music festivals held throughout the year and a huge choice of luxury hotels, it is little wonder why Crete is one of the best holiday destinations in Greece, if not the whole of Europe. 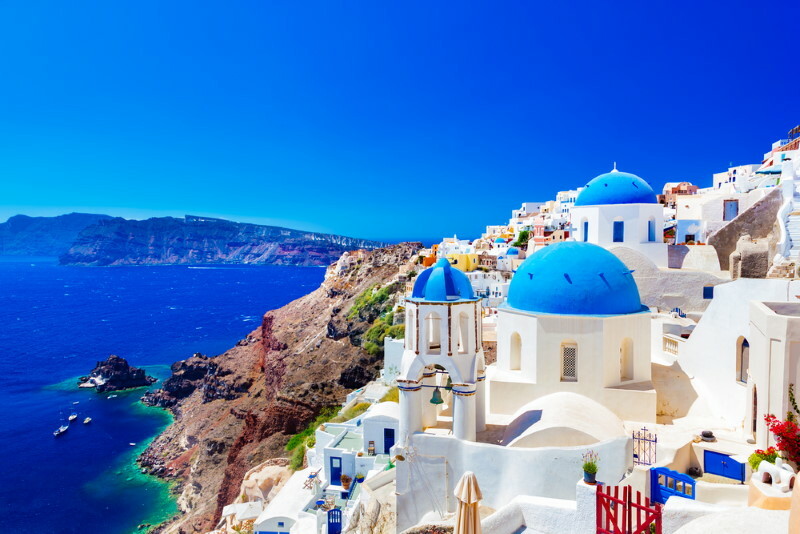 By far the most beautiful of the Greek Islands, Santorini boasts a landscape of lush greenery dotted with small, quaint villages made up of narrow streets, white-washed houses and blue-roofed buildings. There are many stunning beaches where holidaymakers can soak up the sun and there are many archaeological sites to visit for those with a love of history. Santorini is a very popular holiday destination and the summer months are sometimes overwhelmingly busy. The best time to visit to fully enjoy all that this spectacular island has to offer is during the shoulder seasons, particularly October when the crowds have thinned but the weather is still glorious.